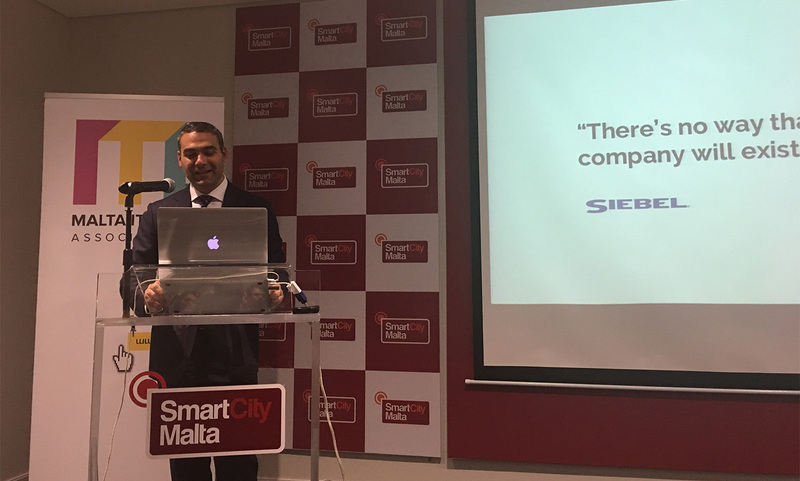 12th December 2016 at SmartCity Malta. Cloud Computing has considerably changed the ways in which we carry out and structure our businesses. Whilst it might be argued that Cloud Computing is a relatively new technology, factually, Cloud Computing has been with us for a few years already and adoption rates are accelerating along with the richness of services offered. In this respect, the laws directly impacting Cloud Computing have also been in place for the past years albeit in fragmented and sometimes obscured ways. Is Cloud Computing challenging accepted norms and practices currently found under our traditional laws? 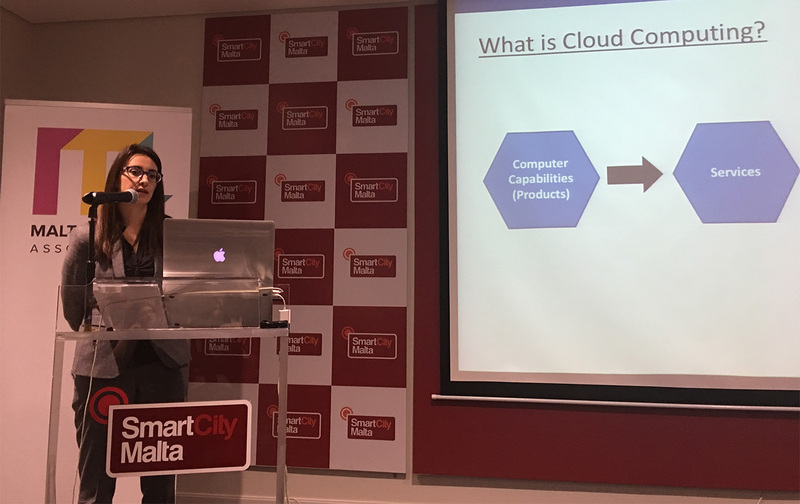 Is the technology behind cloud computing placing the legislator and regulator in a position where current applicable laws cannot keep up with technological developments? 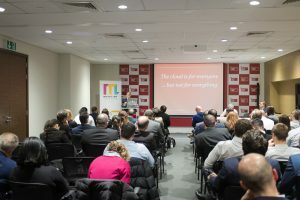 This MITLA event will discuss Cloud Computing whilst analysing the legal suitability and implications directly applicable to the Cloud, with specific focus on Privacy, Intellectual Property, Consumer and Competition law as how Cloud Computing impacts upon regulated industries such as Financial Services and Remote Gaming. 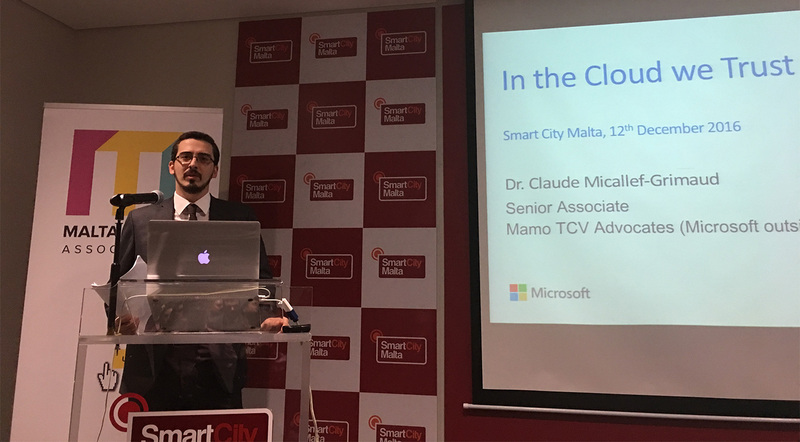 This event is supported by Microsoft Malta. The seminar is open to anyone interested in the field and should be of particular interest to professionals working in Technology, Media and Communications. Representatives of regulated industries (including Banks, Insurance Companies, Financial Services providers, Gaming Companies, Electronic Communications providers), in-house lawyers, CTOs, CIOs, legal practitioners, as well as students interested in ICT, are strongly encouraged to attend. The seminar will give attendees a general overview of the legal issues at play and an understanding of the risks created by the use of Cloud Computing, bringing attendees up to speed with these developing legal realities which at times may be taken for granted. Dr. Tobias Höllwarth, Senior Cloud Expert. 14:20 Cloud Computing and the implications on Intellectual Property, Consumer and Competition law – Old Concepts in New Bottles? The conference will be held in Meeting Room 6 at SmartCity Malta, SCM1001, Ricasoli, Malta. Follow this Directional Map to SmartCity Malta if you’re unsure how to reach the conference location. Dr. Antonio Ghio is a partner at Fenech & Fenech Advocates and heads its ICT Law Department. Ghio lectures ICT law and Cyber Crime at the University of Malta and is a regular supervisor and examiner on technology law related matters.He held the position of Chairman of the Malta Communications Authority after having served as a member of the Board of Directors for the last five years. He has an LL.M in ICT law from the University of Strathclyde where he specialised on legal aspects of Internet security and online privacy. 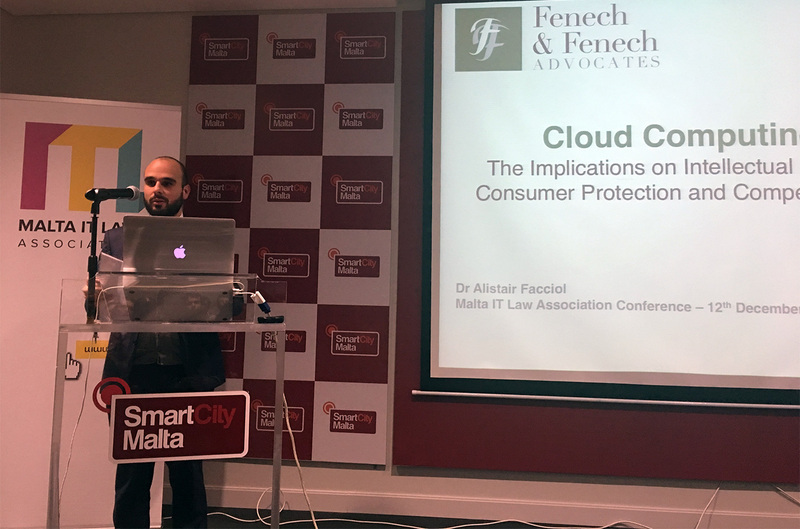 He is a regular speaker on ICT law issues in local and international conferences and has a regular column on ICT law issues on the Sunday Times of Malta. His personal blog on ICT Law issues can be found here. 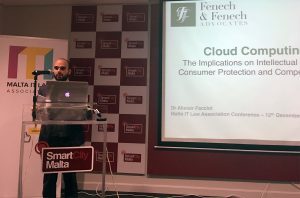 Ghio is also the Malta contributor for Electronic Signatures in Law (Cambridge University Press) and author of the Malta chapter of Data Protection: Laws of the World (Sweet and Maxwell). Dr. Höllwarth has worked as a corporate consultant specialized in IT projects for over 20 years. In addition to his work at the Vienna University of Economics and Business he also founded the companies Höllwarth Consulting, ICT Advisory Network and Sourcing International. Dr. Tobias Höllwarth was a founding member of EuroCloud Austria where he is today a member of the Board and is the director for the international StarAudit program. He acts as an expert for questions pertaining to certification at the Austrian Standards Institute and is leader of the Austrian delegation that participates in negotiations with the International Organization for Standardization (ISO) where cloud computing is concerned. Dr. Facciol brings with him experience in ICT, Gaming law and Intellectual Property, particularly in relation to online ICT and gaming businesses. Specialising in iGaming, ICT and Intellectual Property law, Alistair provides a practical and regulatory approach to the running of businesses, both established and start-ups, particularly those operating within an online environment, advising a number of well-established online businesses with regard to the legal aspects concerning licensing, regulatory compliance, data protection, drafting and application of legal terms concerning privacy and contracts, whilst assisting clients in finding solutions to the challenges that are encountered daily between law and technology, both inside and outside of courtrooms. Alistair is an Associate at Fenech & Fenech Advocates, a member of the Malta IT Law Association and has delivered seminars concerning the anti-money laundering and data protection aspects of online businesses and the regulatory steps needed to be taken into consideration within the ever-changing scenario that such businesses encounter. Dr. Claude Micallef-Grimaud is a Senior Associate at Mamo TCV Advocates having first joined the firm in 2008. His main area of practice includes advising and acting as counsel for foreign and local clients in all intellectual property matters including litigation, contract negotiation and drafting, registration procedures and licensing/franchising matters. Claude also acts as lead counsel in all matters relating to privacy and data protection and represents numerous international (and local) entities in such matters. Claude graduated Doctor of Laws in 2008 and Master of Laws (Magister Juris in European and Comparative Law) in 2009. He was admitted to the Maltese Bar in January 2009. He is a member of the Malta Chamber of Advocates and a founding member and treasurer of the Maltese Society for Comparative law (MSCL). Mr. George Sammut is a partner at PwC in Malta and is responsible for Governance, Risk and Compliance services. He has led numerous assignments relating to ICT-enabled performance improvement; information security; governance; data protection and legal/regulatory compliance assessments. George has managed multi-disciplinary teams on assignments for the Government; the European Commission and in a variety of sectors such as Financial Services, Remote Gaming, Hospitality, Retailing, Shipping, Manufacturing, Mobile Telecommunications and Broadcasting. George is a Chartered Engineer, a qualified accountant, a member of the British Computer Society, a member of the Institute of Financial Accountants, Certified in the Governance of Enterprise IT (CGEIT) and Certified in Risk and Information Systems Controls (CRISC). 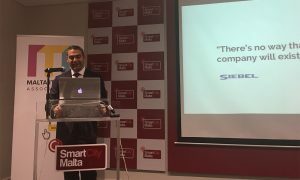 He was a member of the European Commission Council of Experts for the eEurope implementation and a member of the eMalta Commission, the National Information Society Council (Malta) and is a former Chairman of the IT Trade Section of the Chamber of Commerce and Enterprise. He is a founder member and a Council member of the Malta IT Law Association. Dr. Gege Gatt is a lawyer with extensive experience in ICT corporate strategy and operations. He is a founding member of ICON a Microsoft Partner company and a world-class software-applications development company based in malta. As a specialist in ICT law he provides advice on matters relating to Data Protection, Computer Misuse and ICT contracting. 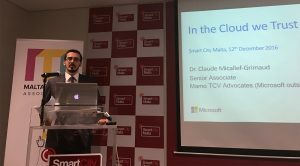 He is Vice President of the Malta IT-Law Association and is a specialist examiner in the field of ICT Law for Doctoral thesis submitted to the University of Malta. As an innovative and results-driven leader he focuses on achieving exceptional results in highly competitive ICT environments that demand continuous improvement. Gege holds a Bachelors degree in Sociology and a Doctoral degree in Laws from the University of Malta. He is a member of the Camera degli Avvocati (Malta), the British Computer Society and the Chamber of Commerce, Malta. Gege is ITIL certified, a regular contributor to Business-IT publications and a speaker at ICT events.